The new millennium has brought to Planet Earth a very unique, unprecedented and challenging set of circumstances. For those coming from the Christian tradition, there is no better biblical story than the story of Job, because of how well it universally informs our current experience. Truly, on both an individual and collective level, this timeless scriptural anecdote enlightens and edifies, encourages and empowers. If your religious tradition or spiritual path is other than Christian, you will still find the following narrative quite compelling. After all, isn’t everyone living out their own version of extremely “interesting times” in 2012 and beyond. The whole place has turned into a set – a global stage, if you will, for everyone’s own enactment of their unique and personal experience of being a “Job”. However, there is one extremely important point which many today seem to forget. As they play their parts in either comedy or tragedy, they lose sight of who really wrote this cosmic drama. They also forget who produced it, acts in it and created the costumes. 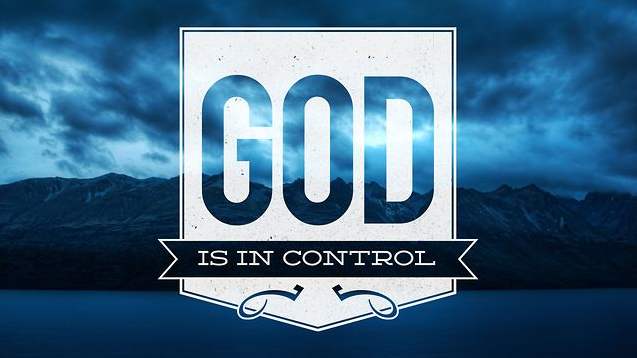 Ultimately GOD is in control. GOD is in charge of everything … all the time … everywhere. Satan, Lucifer, the Antichrist, the Beast, the devil, the Dark Side, the Black Magicians, the Shadow Government, the Global Control Matrix, the NWO Controllers, the Illuminati, the Axis of Evil, the Bilderbergers, the Freemasons (33rd degree and up), the British Monarchy, the Rothschilds, the Rockefellers, the Zionists, the Greys, the Reptilians, the Draconians, the Archons, etc. possess whatever power and control that they actually do only through the will of GOD. So many people today confer an inordinate amount of power and influence on the Dark Side. Please know that the Dark Side is made up of agents of every sort and kind. Each agent, as they appear on Planet Earth, has a heart which beats. That heart can only beat by the grace of GOD. Each agent breathes every moment of every day of their lives. Each in-breath and out-breathe can only occur by the grace of GOD. Now, you tell us who is completely in charge of directing this “Greatest Show on Earth”!? As the following story exquisitely illustrates, ole Satan is merely doing the bidding of his Lord and Master – GOD, the Supreme Being, Shiva, Wakan Tanka, Paratman, Allah, Rama, the Self, Yahweh, the Creator, Krishna, Christ, the Buddha, Jehovah, Vishnu, Quetzalcoatl, Isis, the Great Spirit, Brahman, the Almighty, Mahashakti, Jesus, Muhammad, the Divine Mother, the Ground of Being, Supreme Consciousness — whoever it is that you revere as the Highest Power in the universe, and “Prime Mover of the Cosmos”. Therefore, Satan is merely a lowly agent who ONLY has power if you give it to him. However, he does serve as an agent of change. Oftentimes, great change! Some times the change can be so awesome and profoundly transformative that it transports a spiritual aspirant right back to the Godhead. and acceptable men in the furnace of adversity. “Job is a wealthy man living in a land called Uz with his large family and extensive flocks. He is “blameless” and “upright,” always careful to avoid doing evil (1:1). One day, Satan (“the Adversary”) appears before God in heaven. God boasts to Satan about Job’s goodness, but Satan argues that Job is only good because God has blessed him abundantly. Satan challenges God that, if given permission to punish the man, Job will turn and curse God. God allows Satan to torment Job to test this bold claim, but he forbids Satan to take Job’s life in the process. Without provocation, another friend, Elihu, suddenly enters the conversation. The young Elihu believes that Job has spent too much energy vindicating himself rather than God. Elihu explains to Job that God communicates with humans by two ways—visions and physical pain. He says that physical suffering provides the sufferer with an opportunity to realize God’s love and forgiveness when he is well again, understanding that God has “ransomed” him from an impending death (33:24). Elihu also assumes that Job must be wicked to be suffering as he is, and he thinks that Job’s excessive talking is an act of rebellion against God. God finally interrupts, calling from a whirlwind and demanding Job to be brave and respond to his questions. God’s questions are rhetorical, intending to show how little Job knows about creation and how much power God alone has. God describes many detailed aspects of his creation, praising especially his creation of two large beasts, the Behemoth and Leviathan. Overwhelmed by the encounter, Job acknowledges God’s unlimited power and admits the limitations of his human knowledge. This response pleases God, but he is upset with Eliphaz, Bildad, and Zophar for spouting poor and theologically unsound advice. Job intercedes on their behalf, and God forgives them. God returns Job’s health, providing him with twice as much property as before, new children, and an extremely long life.